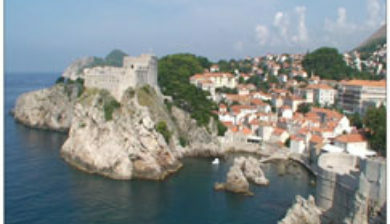 (Croatian: Dalmacija, [dǎlmaːt͡sija]; see names in other languages) is one of the four historical regions of Croatia, alongside Croatia proper, Slavonia, and Istria. 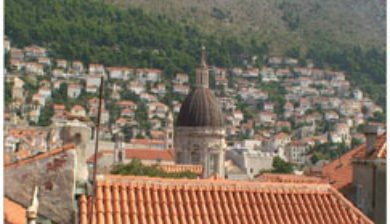 Dalmatia is a narrow belt of the east shore of the Adriatic Sea, stretching from island of Rab in the north to the Bay of Kotor in the south. 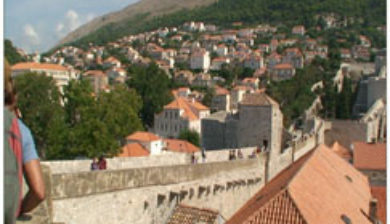 The hinterland (Dalmatian Zagora) ranges in width from fifty kilometres in the north, to just a few kilometres in the south; it is mostly covered by the rugged Dinaric Mountains. 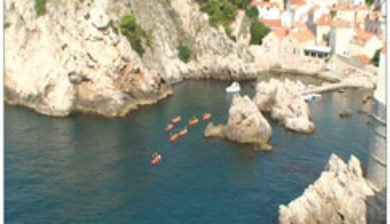 79 islands (and about 500 islets) run parallel to the coast, the largest (in Dalmatia) being Brač, Pag and Hvar. 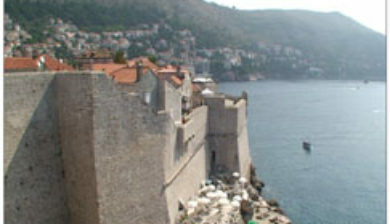 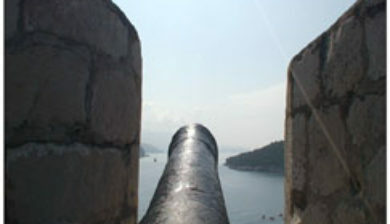 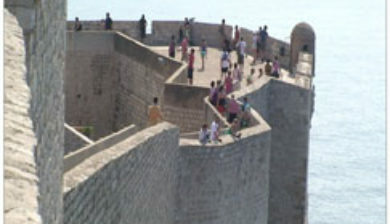 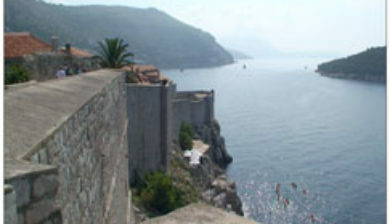 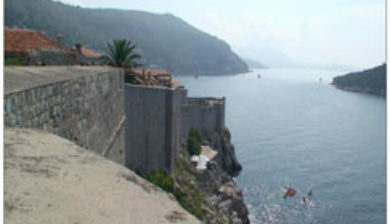 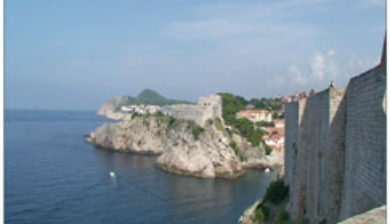 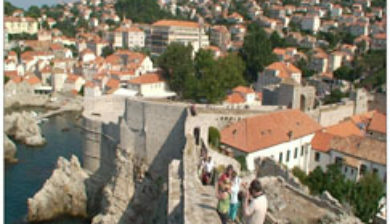 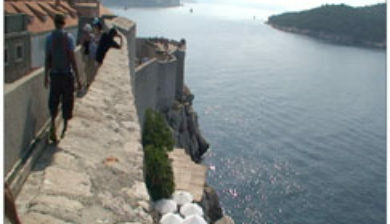 The largest city is Split, followed by Zadar, Dubrovnik, and Šibenik.